Up-country, Semi Urban & Rural segments. Logo, A Face of the Entity! The word 'Logo' comes from greek word 'Logos' and also it can be called as the short form of the word 'Logotype' or 'Logogram'. Our company is the foremost in offering Inshop Branding Services. Which Businessman does not aim of better connections with people Working with Computovision, in this domain, you can expect a partner in your success. The end result depicts unique and professional branding to your enterprise. 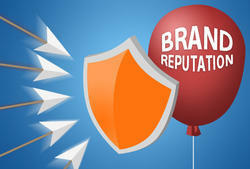 It is said an effective brand gives you a major edge in increasingly competitive markets. We make brands and bring them to life with brand designs, brand insights, strategy and brand development. We're a brand design company. WV creates unique identities for companies, products across all marketing collateral whether web or print.